The Berkeley Group – one of the UK’s best known developers of new homes - says access to ultrafast broadband1 is now almost as important to new home buyers as running water and electricity. Berkeley’s Chief Executive, Rob Perrins, says that owners expect it to be available from the day they move in and the company would risk losing buyers if new properties didn’t offer high-speed connectivity. 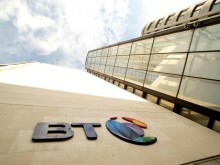 Berkeley is partnering with Openreach in a nationwide scheme to connect all sizeable new housing developments with ‘full-fibre’ – also known as Fibre-to-the-Premises (FTTP) - technology. Launched in February last year, the scheme2 initially offered free FTTP infrastructure for developments of 250 homes or more, then in May 2016 Openreach reduced the threshold to 100 homes, and from November it was reduced further to just 30 homes. So far, Openreach has worked with developers to provide ultrafast broadband to more than 586,000 premises across 2,400 developments registered with it nationwide, with many more expected to join over the coming months3. This year, Berkeley Group has adopted ‘full fibre’ across almost every development it’s building and will ensure that this technology is provided to all future homes, to meet increasing customer demands. Rob Perrins said: “For new home buyers, high-speed broadband has almost become a given now – it is like the power steering on a car – no one asks whether the car they’re buying has it anymore. Many developers, including Berkeley, are now taking the option of self-installing Openreach equipment to help cut out delays and ensure service provision for when customers move in. Kim Mears, Managing Director of Infrastructure Delivery at Openreach, added: “We’re investing heavily in ultrafast broadband because we’re committed to giving the UK a first class network, capable of delivering the very latest communication services for households and businesses. 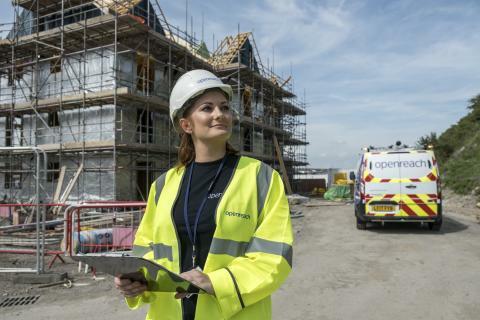 As part of its plans to make ultrafast broadband speeds available to up to 12 million homes and businesses by the end of 2020, Openreach is now building FTTP infrastructure for free to all new housing developments with 30 or more homes. This is dependent on developers registering their site with the business and working together early in the building process. Openreach has promised to connect new homes within nine months of contracting with a developer. Developments with two or more homes already have access to the company’s existing or planned fibre infrastructure, either funded entirely by Openreach or with the help of developer co-funding where that’s needed. Enquiries about this story can be made to the Openreach PR team at pr@openreach.co.uk. 1 Ultrafast broadband is defined as download speeds in excess of 100 megabits per second (Mbps). This is fast enough to load a typical webpage or stream HD quality music or video instantly. 2 Construction of Fibre-to-the-Premises infrastructure (the ducting, poles and wires) is carried out for free on developments of more than 30 premises. Standard connection and ongoing service provider charges apply, and excess construction charges continue to apply where the site is more than 4.5 kilometres from Openreach’s existing fibre network. For each new development, our dedicated New Sites Reception team works with developers to check the options for a particular site, and give a clear recommendation on the infrastructure that should be built. Once contracted, a dedicated field based co-ordinator will work with the developer to lead them through the plan and build process. Find out more about the new build scheme here. 3 According to the government, the number of new dwellings built totalled 147,960 in the year to March 2017, an increase of 6 per cent compared with last year. We’re around 30,000 people who connect homes, mobile phone masts, schools, shops, banks, hospitals, libraries, broadcasters, governments and businesses - large and small - to the world.